I love easy crock pot dessert recipes like this Crock Pot Peach Crunch Cake recipe. 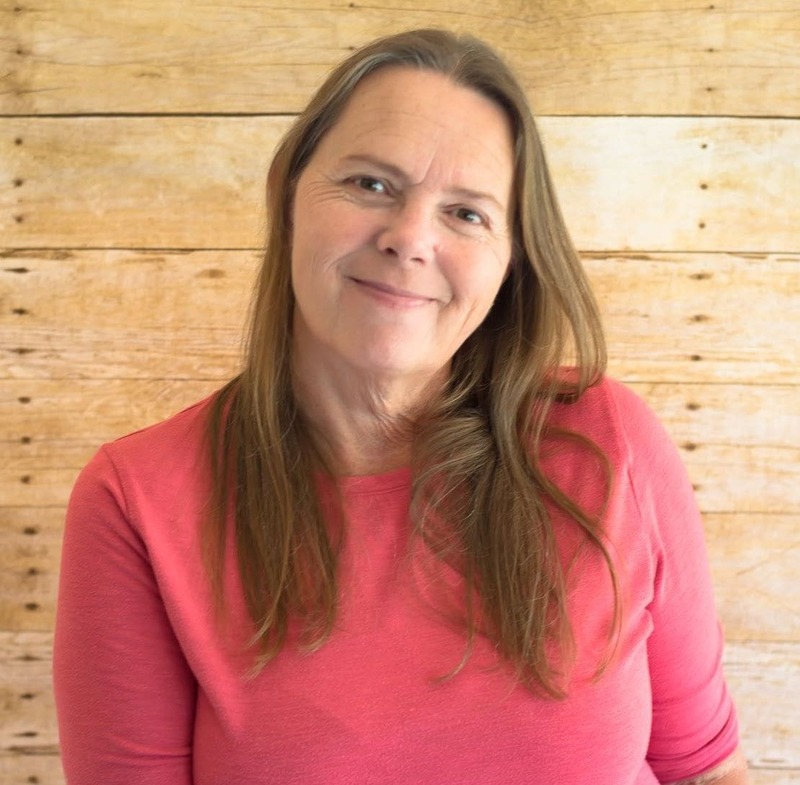 Todays, crock pot recipe is the 100th crock pot recipe I am sharing. In celebration, I am giving away one Crock-Pot Casserole Crock Slow Cooker, 3.5-Quart slow cooker to a lucky Flour On My Face reader! I happen to love my crock pots. Yes, I said crock pots. I have a number of crock pots in all shapes and sizes. I have so many crock pots that I have lost count. I’m up to about 10 crock pot slow cookers…. I think! One of my favorite crock pot slow cookers to cook in is the new Crock-Pot Casserole slow cooker. It makes making crock pot dessert recipes so much easier. It really helps cook crock-pot dessert recipes perfectly and makes all those crock-pot casseroles so much easier. You can make all those delicious layered crock pot casserole recipes so much easier because of the rectangular shape and the narrow depth helps make sure all the ingredients have cooked evenly. Crock Pot Lasagna – no problem. Arrange those long lasagna noodles perfectly thanks to the rectangular shape and size. Drain the peaches reserving 1/4 cup of the syrup. Mix the dry ingredients for the cake in a bowl. Add the peaches and the 1/4 cup of syrup to the bowl and fold gently until the dry ingredients are moist. Spray the bottom and sides of a casserole crock pot. Pour the batter into the crock pot. Mix the topping ingredients and evenly sprinkle over the top of the batter. Cook on low for 2-4 hours or until the center is firm. 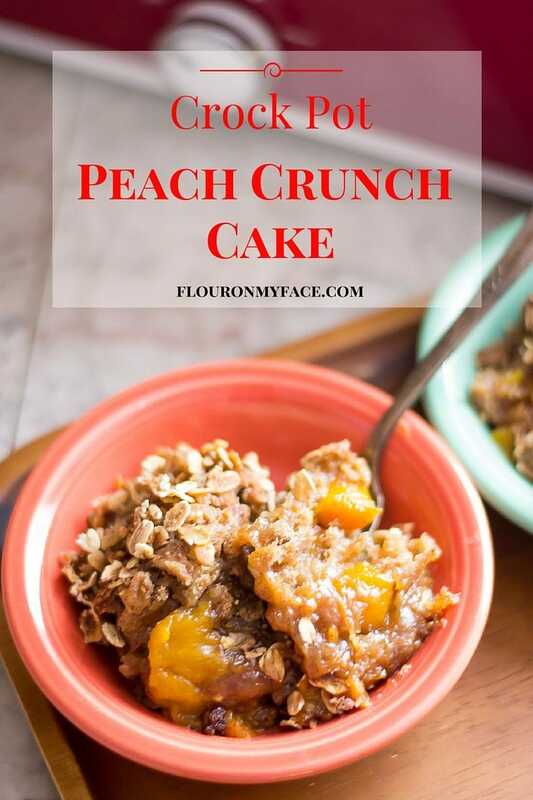 This Crock Pot Peach Crunch Cake recipe is perfect for dessert but will also make a great Sunday morning brunch recipe. 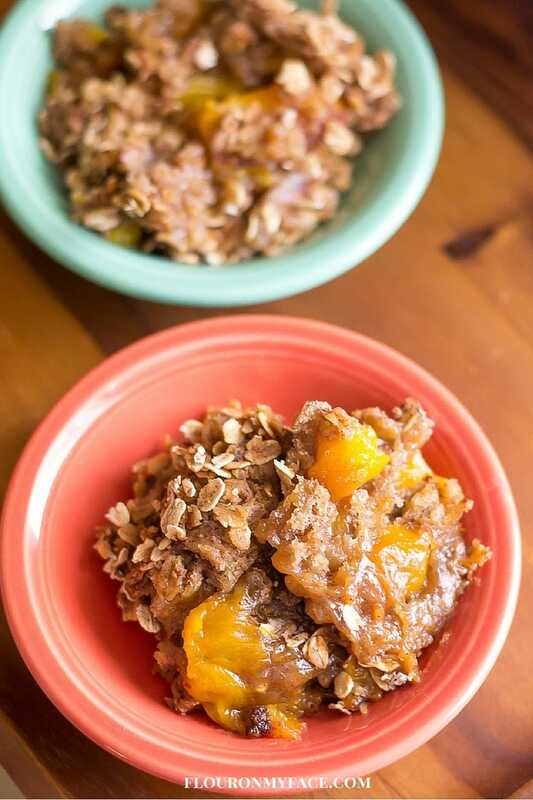 Looking for more Crock Pot recipes like the Crock Pot Peach Crunch Cake recipe? 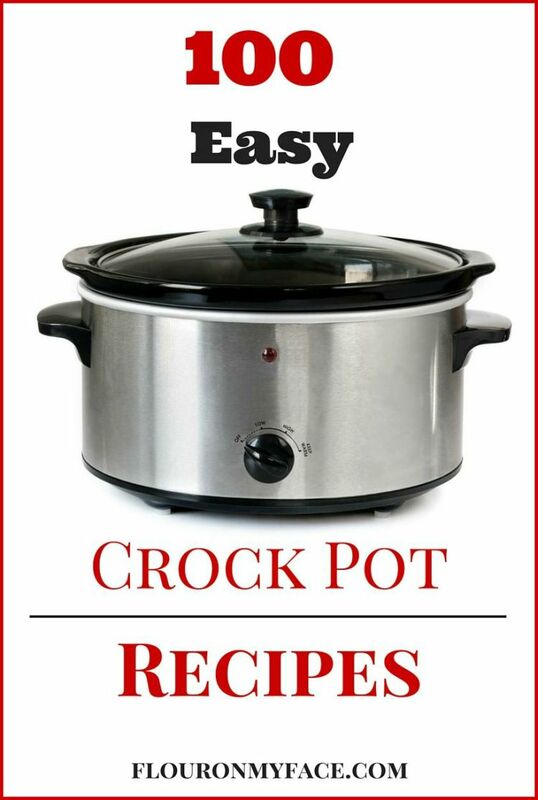 Check out my Crock Pot recipe page where you will find 100 Easy Crock Pot recipes. 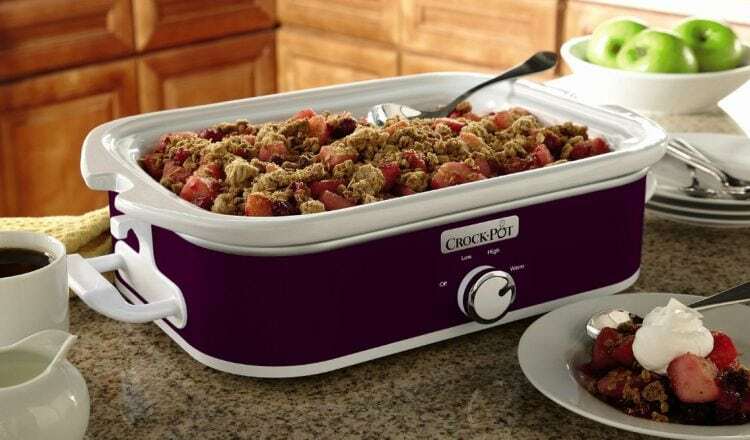 This is an amazing Crockpot! I am so excited to try out dessert recipes in this Crockpot. Would be thrilled to win! I am excited to make slow cooker butter chicken. I can’t wait to start making casseroles with my new crock pot! I would love to own one of these crock pots. I love to make pot roast in them because it makes the meat so tender! I am excited to win because my crock pot is too large for many recipes. Yes, I love finding new recipes to try in my crockpot. I love how good the good tastes and how easy it is to use. I tried a crock pot dessert one time and it turned out really good. I would like to try a cake or something in it next. I would love to try the dessert recipes in the crockpot. I haven’t done many desserts in my slow cooker. I can’t wait to try one. I would start with savory dishes, like casseroles. I would be most excited to try the Casserole recipes. Thanks for the fun giveaway and the delicious recipe! I love the recipes you provide and I am excited to get these recipes in book form. 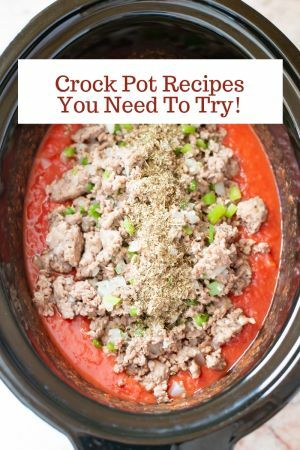 This looks like a great crock pot too! I’ve never made dessert in a slow cooker, so I’d like to try the dessert recipes. I’m Excited To Make The Dessert Recipes, Such A Great Crock Pot! That’s the prettiest crockpot I’ve ever seen! The shape makes a lot of sense, too. Oh, gosh, I’d love to win one! 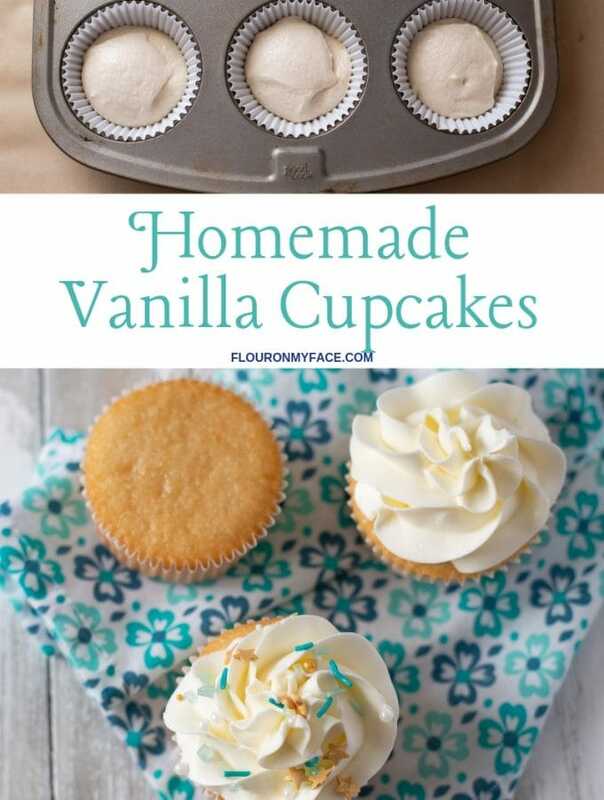 I’ve been looking to expand my dessert making recipes so I would be most excited about making those in the Crock Pot. I would love to make dessert recipes in the Crock Pot. I have never tried making desserts in a slow cooker. I would be extremely excited to win this crock pot. I would make dinners and desserts for my family. i am very excited with this casserole slow cooker. i love to make casseroles and desserts. this would be a welcome addition to my kitchen. 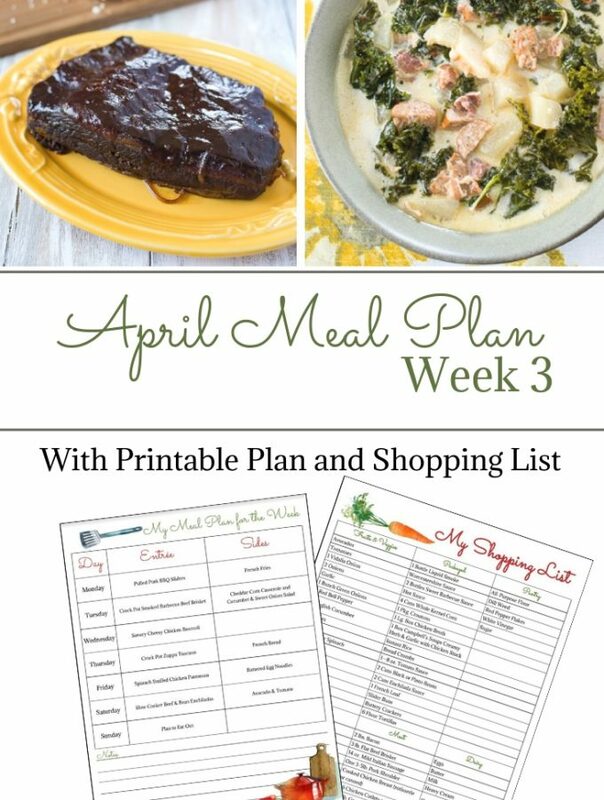 I am extremely excited to try crockpot recipes for both desserts and for meals! I love the idea of a casserole style crockpot: lasagna, cobblers, I would be using this baby all summer long. And perfect for side dishes during the holidays! I need another crockpot. Always have something going in one. i would be so excited, my only crockpot just broke and this one is way better than the old one anyways. I’ve made a few desserts in my crockpot and would love to make more. I love my crockpot but have not attempted desserts yet. To win this would be the perfect opportunity to expand my crockpot recipe book. I love crock pot! The recipe sounds great too! Thanks for linking up to Merry Monday! Pinned! Have a great week! I’m excited to make Crock Pot casserole recipes but I’d love to be a little more adventurous and try a few dessert recipes too. I’m more of a savory person, so I’ll say casseroles! Thanks for the chance! I’m excited to try both! I have never tried to make a casserole in a Crock Pot. Thank you so much for offering such a great giveaway. 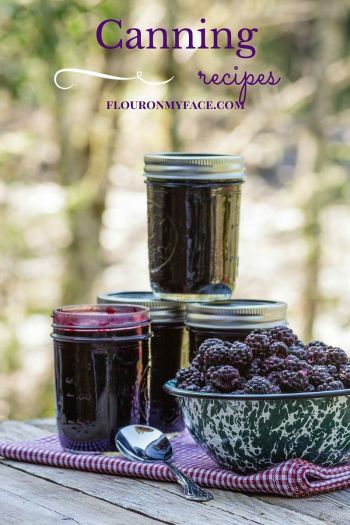 I love desserts so I am excited to prepare Crock Pot Dessert recipes! 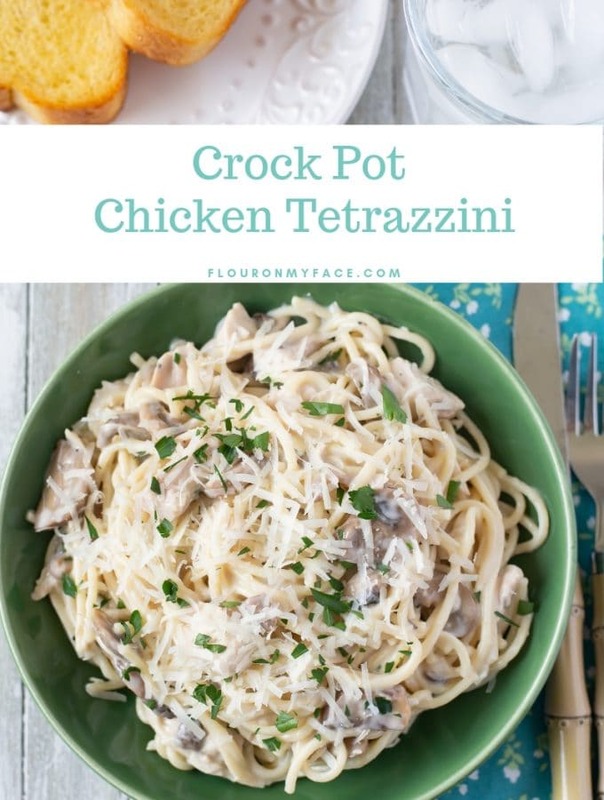 I’m all about anything that can be cooked in the crockpot and this sounds delicious! Thanks for sharing at Welcome Home Wednesdays! Arlene- this made my mouth water! This sounds so unique to me and also looks delicious. Thank you for sharing with us at #HomeMattersParty . We would love to have you again this week.